On the morning of October 26, at the Parliamentary Meeting on the socio-economic situation, Mr. 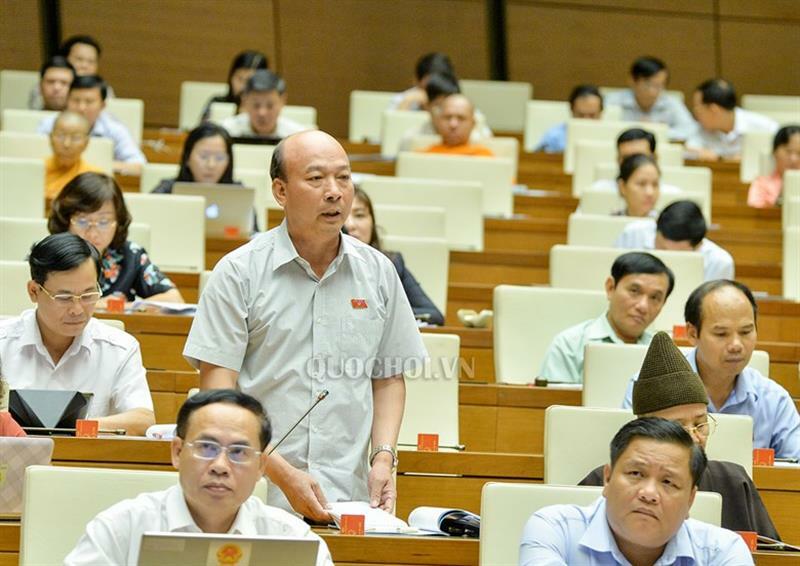 Le Minh Chuan, the Secretary of Party Committee, Chairman of Vietnam National Coal and Mineral Industries Corporation (Vinacomin), a delegate of the National Assembly of Quang Ninh province had a speech on analysis of the role of the coal sector with the subject "The role of the coal for the security of the national energy" and proposed the four issues needed to be to be urgently solved for helping development of the coal industry. According to Mr. Chuan, the coal sector is playing an important role in global energy security and has a great impact on production and social stability. At present, in the world power generation from coal is 40% among which in China – 43%, Australia and India – 70%. For the Vietnam - 41% in 8 months of 2018 and in power planning development to 2030 expected up to 50%, at the same time, power generation from renewable energy will be increased from 3% to 10%, from gas decreased from 44% to 26% and hydropower from 14% to 12%. Due to increasing power generation from coal the coal demand will be increased that leads to deficit of domestic coal for coal fired thermal power plants and the country has to import bituminous coal. This is a serious challenge for the national energy security. Firstly, it is necessary to renovate policies on mineral resources management on the principle of market integration, right from the granting of permits to mining enterprises and gas to take initiative in the development of this resource. Secondly, supplement and improve the legal base and sub-law documents on the management of decentralization standards for coal and gas enterprises with a favorable investment environment, both foreign and domestic. Third, there should be a mechanism and policy of equality between imported coal and domestic coal according to international practices and international prices. Fourthly, it is important to have a policy for hazardous and dangerous workers such as pit workers on wage and insurance policies, and seniority for workers.